eon maintenance friendly decking is a thermoplastic product made of polystyrene and has a wood grain appearance extruded in at the time of production. Because of this unique process no two pieces look the same. It offers a uniquely realistic wood look and comes with a 20 year warranty. 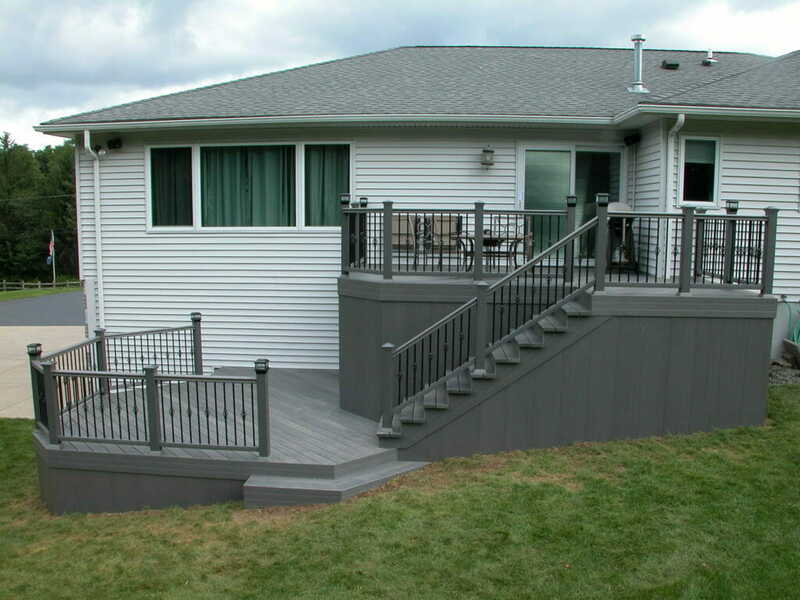 eon products are available in decking, railings, balusters, and skirting, which provides everything necessary for a complete project. eon is available in 5 lasting wood colors and will not peel, chip, warp, crack, or present slivers. eon products retain less heat than other deck and patio options and provide a very clean surface without any surface nails or screws using a hidden fastener system. Buscaglia Decks has been building with eon maintenance friendly decking since 2002 and we have never been more impressed with the performance and look of a product.